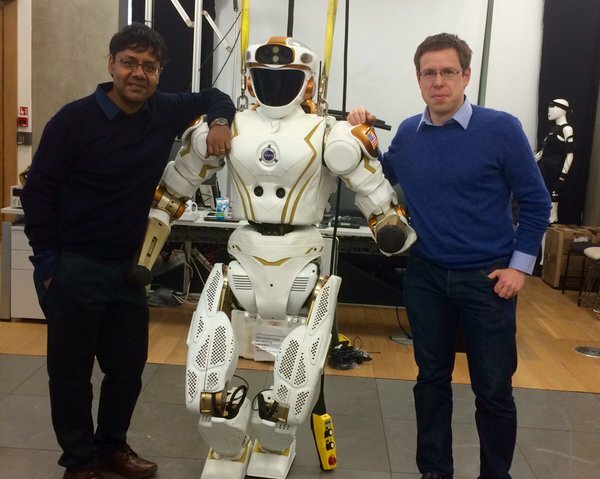 The morning of monday 29th February 2016, Valkyrie, NASA's R5 Robot, arrived in the School of Informatics. 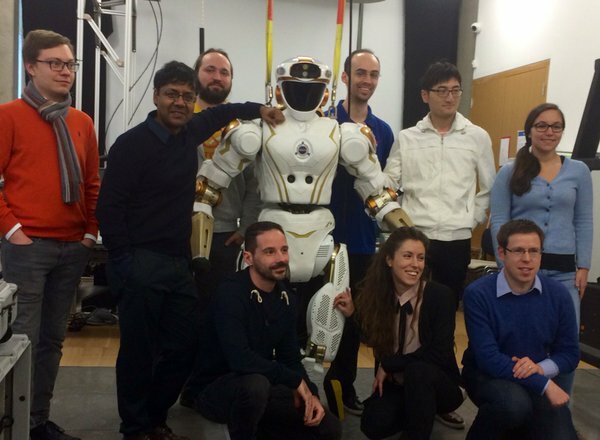 The Edinburgh Centre for Robotics Valkyrie team, Professor Vijayakumar, Dr Fallon, Dr Vladimir Ivan, and PhD students Wolfgang Merkt, Marco Caravagna, Simona Nobili and Yiming Yang welcomed the NASA crew and set up the lab for the new addition to the Robotarium East. The Valkyrie is not ready for display and demos yet, but further information will be provided soon. 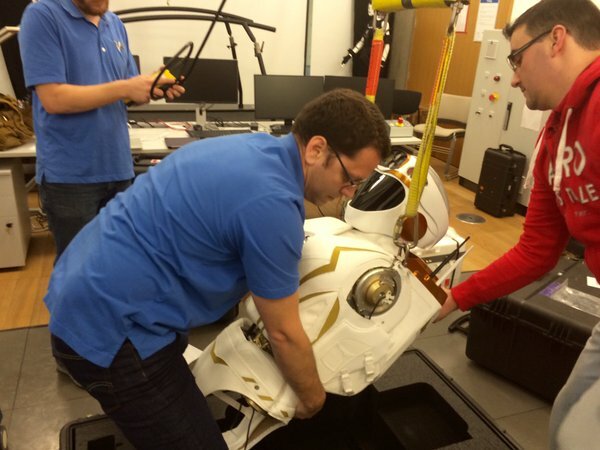 Find out more about the Valkyrie can be found in our most recent issue of the ECR Newsletter.